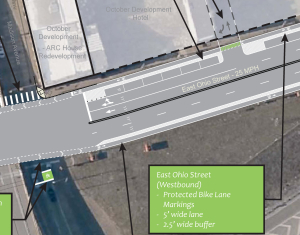 In late 2014, the Northside Leadership Conference Pedestrian and Bicycle Committee learned PennDOT District 11-0 was in the final design process for improvements to the section of East Ohio Street between East Street and Chestnut Street. This corridor has one of the highest rates of vehicular/pedestrian accidents in PennDOT District 11-0, a three-county area. 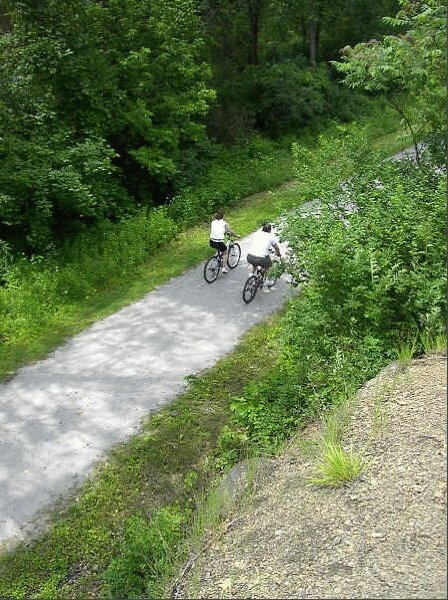 Representatives of the North Side committee asked to review the PennDOT plans, and realized there was an opportunity to include pedestrian and bicycle improvements in the design. 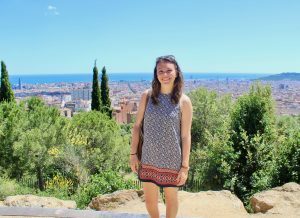 Nick Ross, chair of the committee said, “Everyone is a pedestrian at some point during their trip, and many also ride bicycles. We need to be thinking beyond car rides, and incorporating healthy transportation choices into our daily routine.” Abe Stucky, the Leadership Conference’s community organizer, then mobilized and coordinated the committee’s efforts with PennDOT, the City of Pittsburgh Pedestrian and Bicycle Coordinator Kristin Saunders, City Transportation Engineer Amanda Broadwater, and representatives of BikePGH. 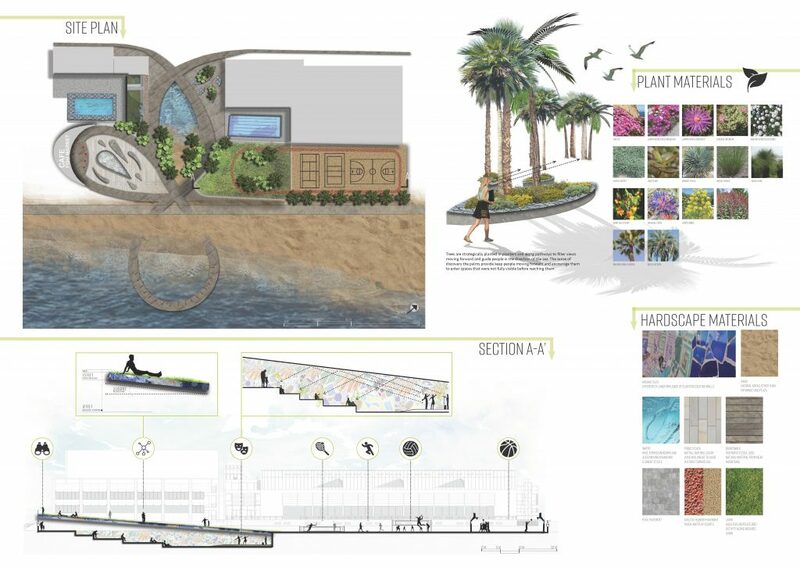 At that point Pashek Associates, a landscape architecture and community planning firm with its office adjacent to the project area, offered assistance. John Buerkle, president of Pashek Associates and a member of the committee, and Sara Thompson, a Pashek Associates principal, reviewed and evaluated PennDOT’s proposed improvements. 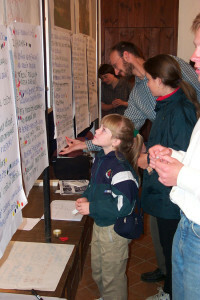 Then, with input from Stucky and the above organizations, they prepared a plan demonstrating how best practices for bicycle and pedestrian facilities (from the American Association of State Highway Transportation Officials and the National Association of City Transportation Officials) could be incorporated into the plan. 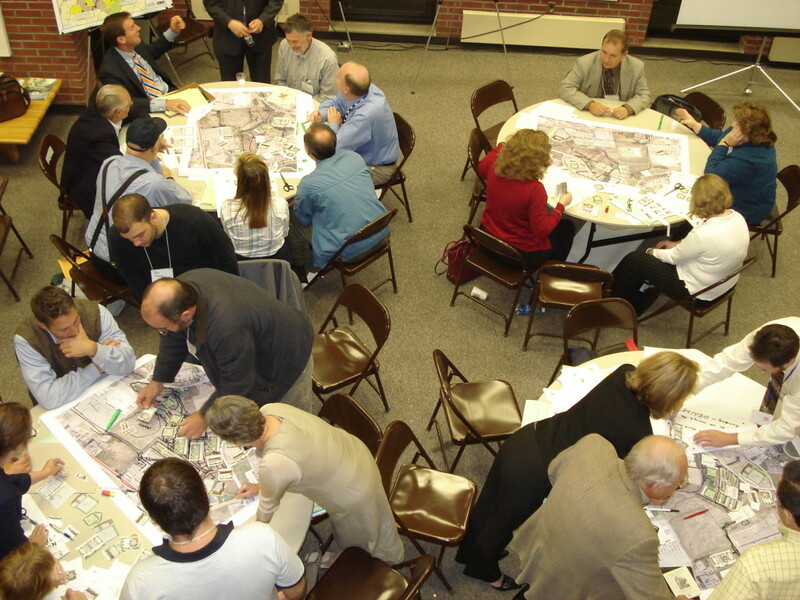 On March 4th, PennDOT held a public meeting to unveil the final design for the East Ohio Street Improvements project. Citizens attending the meeting supported the proposed pedestrian and bicycle improvements. He added that the improvements are a small piece of a larger plan for bike-pedestrian corridors. 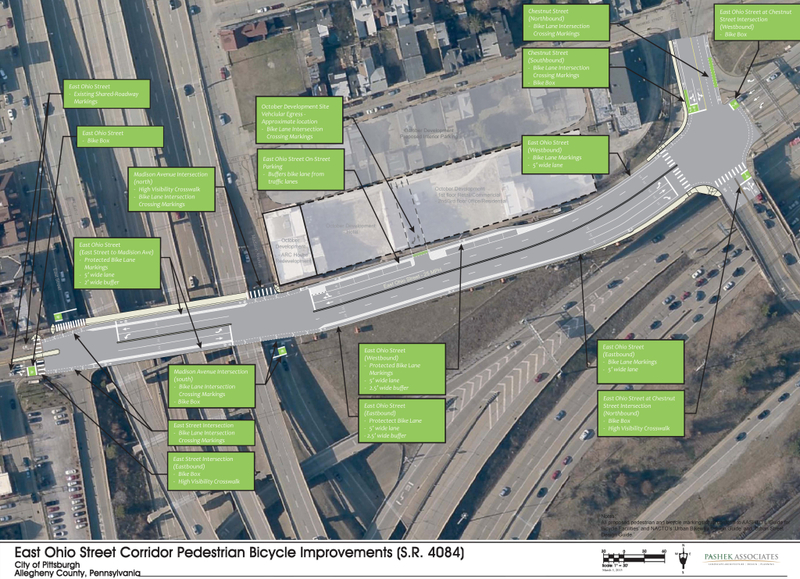 The North Side committee is working toward an overall pedestrian and bicycle master plan for the neighborhood. 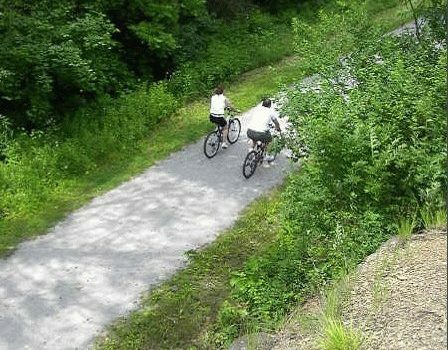 Immediate goals include extending bike lanes along East Street to the northern neighborhoods and Riverview Park, and working with the city and county to extend bike lanes along Chestnut Street and the 16th Bridge to connect to the protected bike lane along Penn Avenue through the Downtown/Lawrenceville corridor. The East Ohio Street improvements will be constructed over the next two years, beginning this summer and concluding in fall 2016. The Secret: It’s all about making bicycling both convenient and comfortable. Geller indicates the separation between these four broad groups is not generally as clear-cut as represented. There is likely quite a bit of blurring between the “enthused,” the “interested,” and those not at all interested, but this has proven to be a reasonable way to understand existing and potential cyclists. In 1999, a Guide for the Development of Bicycle Facilities written by the American Association of State Highway and Transportation Officials defined four types of bicycle accommodations: 1.) Shared Roadways, 2.) Signed Shared Roadways, 3.) Bike Lanes and 4.) Shared Use Paths. 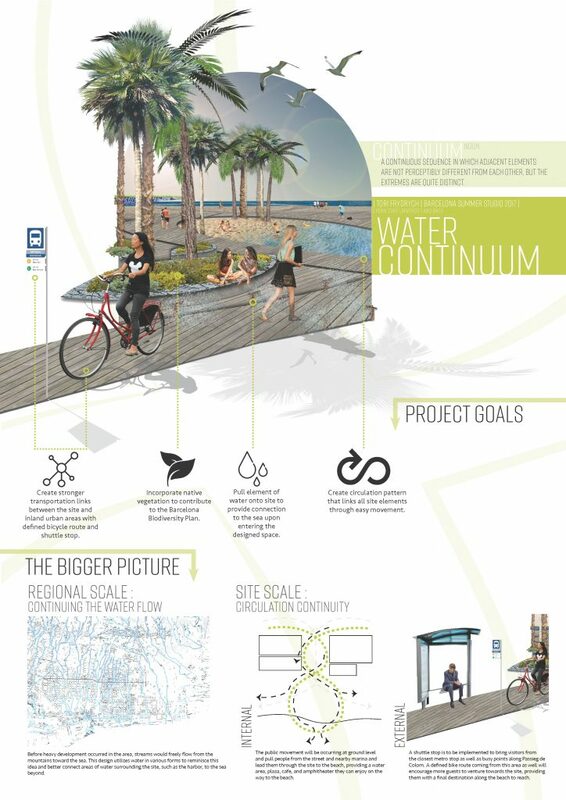 We have learned that providing bicycle accommodations that are comfortable and convenient have real impacts and benefits to our health, economy and environment. 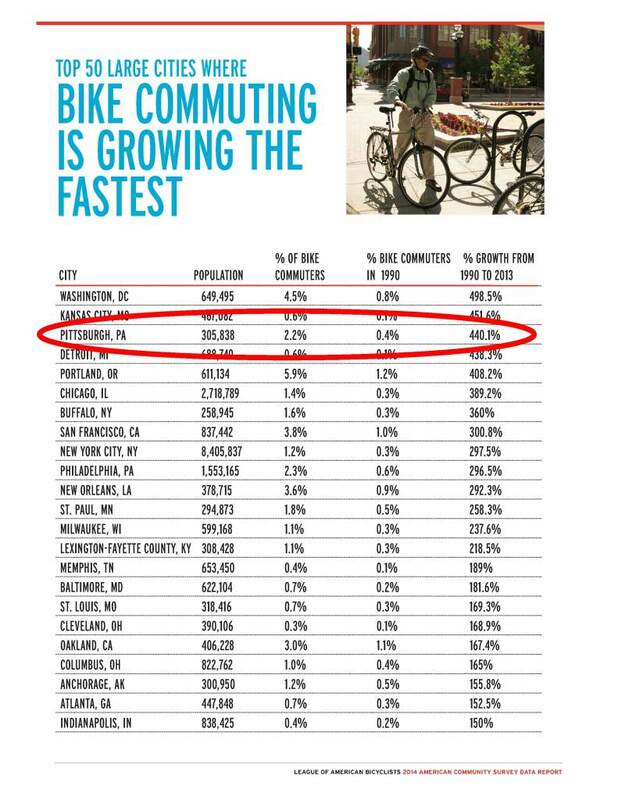 And, as noted in Part One – more and more people are choosing bikes over cars. So, how does Pashek Associates put new ideas into action? Part Three to follow next week. 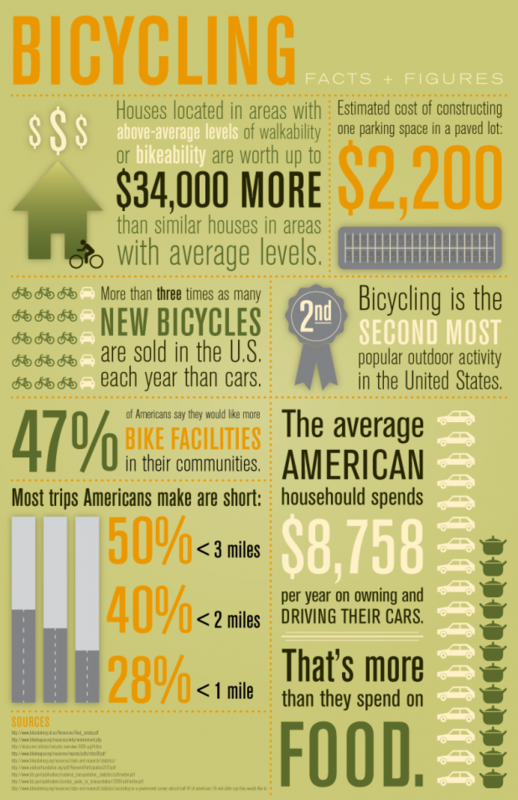 For quite some time we have heard in the news about the economic, environmental and health benefits of bicycling. 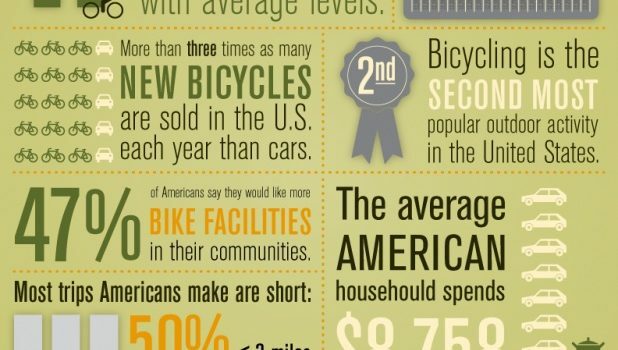 What we haven’t heard is why we are even talking about bicycling. Our society has been car-centric since Henry Ford’s invention of the Model T in 1908, but now our national mindset appears to be changing. In the 20th century, we geared nearly all development toward car travel. Want more convenience? Sure! Let’s build more two-car garages and large suburban parking lots. Want more efficient routes? Of course! Let’s cut down on starts, stops and red lights, and add more highways. As we entered the 21st century, we learned that what was good for the car was not necessarily good for our health, our environment and our economy: More sedentary lifestyles fostered skyrocketing obesity rates; carbon emissions from car exhaust exacerbated climate change; and the rise of car-oriented suburban shopping malls hollowed out our once-thriving Main Streets. There is reason to have great hope for the future, though. Upcoming generations appear to be far less reliant on motor vehicles. Fewer young people are getting a driver’s license. In 1983 about 92 percent of 20- to 24 year olds had one, but in 2011, only 79 percent did. 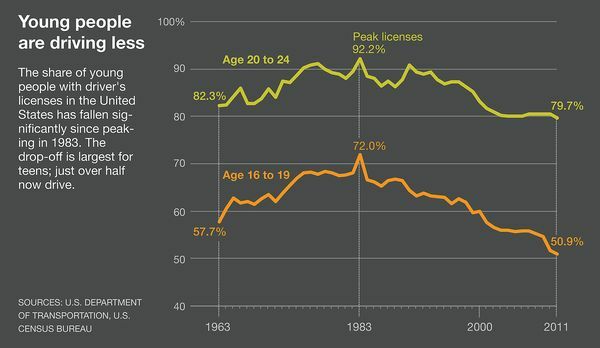 The percentage of 16- to 19 year olds who had licenses fell from 72% to 51% in the same time period. As a society, we are beginning to realize that that there are more convenient and desirable transportation choices with demonstrated health, environmental and economic benefits. Therefore, many of us are taking a more balanced approach. A recent study by the American Public Transportation Association indicates more Americans used public transportation in 2013 than in any year since 1956. From 1995 to 2013, transit ridership rose 37 percent. So, how can we accommodate bicycling without compromising the efficiency of vehicle travel? Part Two to follow next week. Today, a couple of us decided to ride our office bikes two miles (taking the scenic route through Point State Park) to grab lunch at the farmer’s market in Market Square. The plaza was abuzz with people and activity. Pedestrians and bicyclists came to socialize, eat lunch, pick up some wine or food for later, and listen to live music. In addition, B-cycle was in the Square demonstrating how bike sharing works and gathering support for a B-cycle program in Pittsburgh. B-cycle works along the same line as the Zip Car. It works like this… Say you want to make a couple of errands or run to a meeting nearby, but don’t want to deal with parking, the bus just takes too long, and/or you feel like cutting down your CO2 emissions and you don’t have a bike. Well, you can walk a couple blocks to the nearest B-station and buy a membership card or swipe a card you paid for online to unlock a groovy-looking bike complete with heavy duty basket. You ride to your destination and lock the bike back up at another B-station. For more information about B-cycle, visit their website! Check out this article from the Wall Street Journal about Big-Box stores shrinking in size. That’s right, it seems as though big name retailers are starting to open more and more small-sized stores. Staples has opened a 4,000 square foot store while Best Buy has several smaller stores averaging 1,400 square feet. 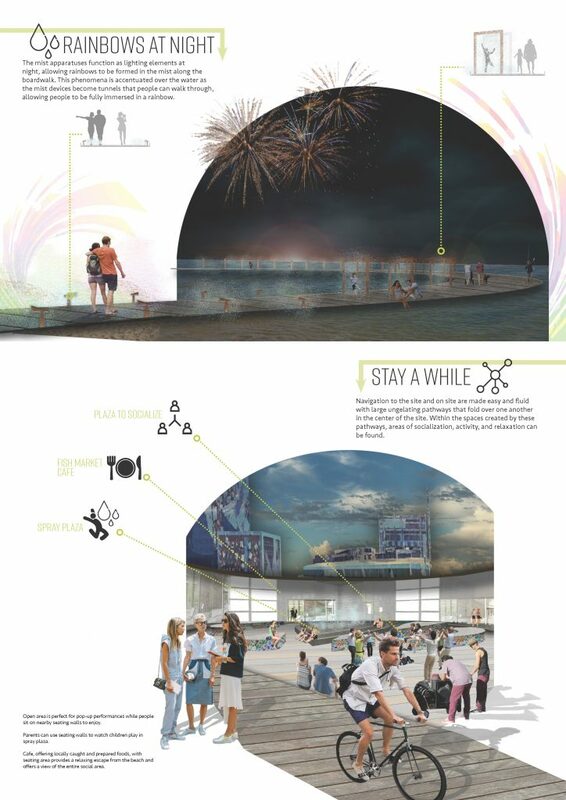 What does this mean for urban redevelopment? Well, plenty of new opportunities of course.